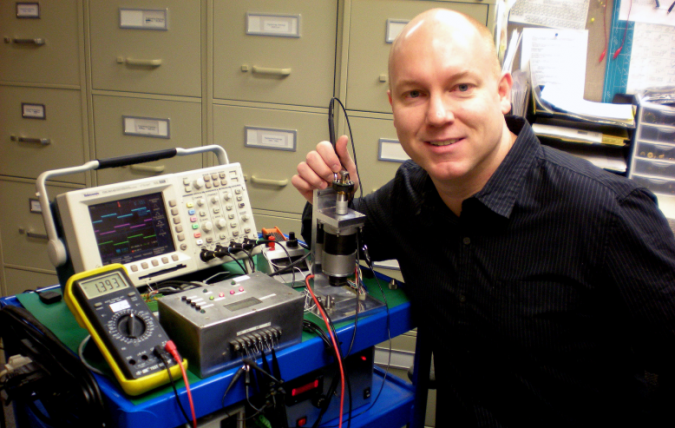 Incremental Encoder Engineer interview - Quantum Devices, Inc. I was featured in an interview with EEweb. How did you get into electronics/ engineering and when did you start? I started when I was pretty young, like nine or ten, taking apart radios and using an old wood-burning tool to desolder components from the circuit boards I scavanged. I would pick up anything that was broken or being thrown out and tear it apart. I had no idea what I was doing but eventually stumbled onto some of the “Engineers Notebooks” that Forrest M. Mims III wrote for Radio Shack, those gave me the knowledge I was missing. Before long I was able to blow fuses out in the house on a regular basis. I have come a long way since then – we now have circuit breakers. Can you tell us about your work experience/ history before becoming an Applications Design Engineer at Quantum Devices? I have mainly worked with Industrial controls for Food & Beverage, and Pharmaceutical companies, which always includes quite a bit of PLC Programming. That is why you will see a bit of Ladder Logic in with some of the Quantum Devices Blog posts that I do. While I predominantly work with discrete electronics today, the industrial controls experience dovetails nicely with our Optical Encoder lines. Encoders are used on the back of motor and often in industrial applications, so I am able to better understand the way an end user might be trying to implement a design, and to some extend the way they might think.